Maria Montessori was the first woman to graduate from the medical school of the famous Roman University La Sapienza. The founder of the Montessori education method had an interesting resume. 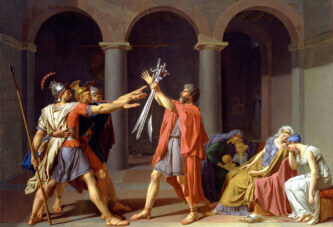 She was born in Italy as a child of Catholic parents and Catholicism had an important role in her life. She was the first woman to graduate from the medical school of the famous Roman University La Sapienza. That way she became one of the first female doctors in Italy. At first, she was employed in psychiatry, where she dealt with children with special needs. She developed a special program for learning reading and writing for them. These children, at the age of 8, had a test, which showed that they learned to read and write so well that they were above the average of ordinary children. Maria Montessori asked the following: if mentally disabled children can thrive, what is then possible for healthy children? 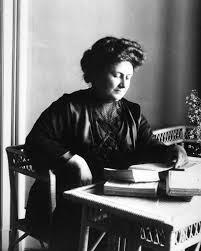 On this day in 1907, she opened a school for children in Rome in which her teaching method was used. She called it “Casa dei bambini” (Children’s House). When her method was acclaimed in the world, many Montessori schools began to open. After Mussolini’s rise to power, Maria fled to Spain and, when the Civil War broke out there, to the Netherlands. For a while she lived in India. Today, the philosophy of her education method is taught in approximately 20,000 Montessori schools worldwide.